Cinnamon: The Super Spice — Beardy Boys, Inc.
Cinnamon is not only super tasty, but it’s great for your body. There’s a reason it’s the most popular spice in the world. Check out below for some of the wonders cinnamon will do for your body – you might just become cinnamon-obsessed. When we say packed full of antioxidants, we aren’t joking. Cinnamon is truly a super spice – it contains a variety of antioxidants that fight free-radical damage in the body and slow the aging process. To date, 41 different compounds of cinnamon have been identified. Cinnamon ranks seventh of all foods, spices and herbs in the world when it comes to the concentration of antioxidants in the spice. The types of antioxidants cinnamon contain are called polyphenols, phenolic acid and flavonoids. These same type of antioxidants are often found in “superfoods” that contain a lot of antioxidizing power. They work to fight oxidative stress in the body, which leads to disease formation when left uncontrolled. This affects the body more as it ages, leading to brain disorders, cancer and heart disease. Speaking of antioxidants in cinnamon, they also have anti-inflammatory effects. These help lower heart disease, cancer, brain function decline and more. Researchers have been able to identify over seven kinds of flavonoid compounds in cinnamon, which are super effective at fighting inflammation levels throughout the body. Because of its anti-inflammatory properties, cinnamon can be beneficial in pain management, helping to relieve muscle soreness, PMS pains, allergic reaction severity and other age-related pain symptoms. Consuming cinnamon reduces some of the most common risk factors for heart disease like high cholesterol levels, high triglyceride levels and high blood pressure.The compounds in cinnamon are able to reduce bad cholesterol (LDL) and triglyceride levels, while maintaining good cholesterol (HDL) levels. Additionally, cinnamon is a blood coagulant, meaning it helps the body form blood clots to prevent bleeding. It increases blood circulation and advances the body’s ability to repair damaged tissue. This includes heart tissue that needs to regenerate in order to fight heart attacks, heart disease and stroke. Those antioxidants found in cinnamon also help defend the brain against neurological disease development, like Parkinson’s and Alzheimer’s diseases, as you age. Cinnamon activates neuro-protective proteins that actually prevent brain cells from mutation and undergoing damage, reducing the negative effects of oxidative stress by stopping cells from morphing and self-destructing. Cinnamon is a natural anti-microbial, anti-biotic, anti-fungal and anti-viral agent. These immune-boosting abilities are found in the spice’s essential oils.This is why cinnamon is used in many cultures to naturally fight harmful infections and viruses. Cinnamon oils also contain protective abilities against various bacteria which can cause negative symptoms in the digestive tract and on the skin’s surface, leading to colds or the flu. It’s so powerful, in fact, that some studies suggest that it may be able to reduce the risk of contracting the HIV virus. Cinnamon is already sweet. When you add it to your favorite foods, you’ll cut down on the amount of added sugar you normally use. Paired with its anti-diabetic effects that slow sugar released into the bloodstream, this is one spice that will taste even sweeter. Cinnamon contains no sugar and no calories, making it an extremely healthy addition to many meals. Add it to coffee, tea, baked goods, yogurt, on fruit and in oatmeal instead of adding extra sugar (and extra calories!). 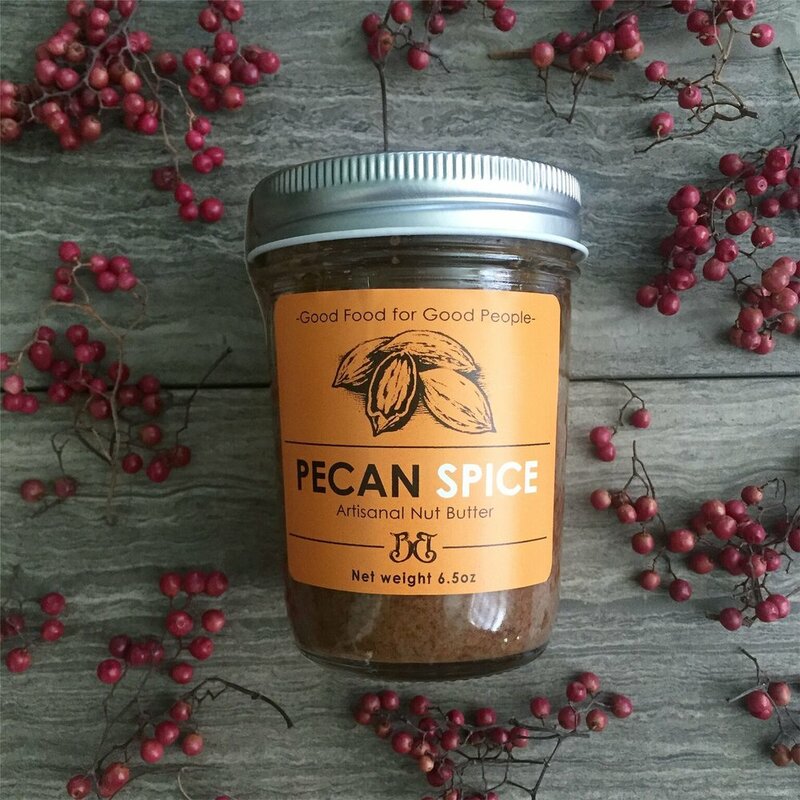 Get that sweet cinnamon flavor and all its health benefits in a jar of our Pecan Spice. We know how much you love cinnamon and now that there’s even more reasons to love it, you won't be able to put it down (just like us! ).